Prim-ed Publishing specialise in educational resources for primary school and secondary school teachers across Ireland and the UK. 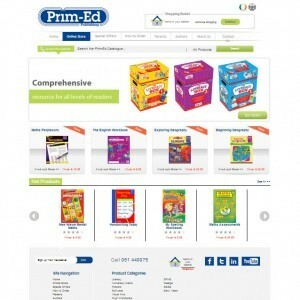 Prim-ed stock thousands of school textbooks and resources, as well as eBooks, posters, and stickers for the classroom. 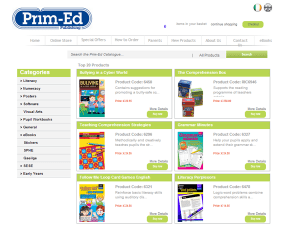 Prim-ed have been providing essential teaching resources for over 20 years, creating textbooks for every subject and area on the Irish and British curriculum – perfect for parents as well as teachers, helping enhance each student’s learning ability. The brand new Prim-ed website centres around their online shop, allowing them to sell teacher resources hassle-free to the UK, Ireland, and further afield. What’s more, if you order an eBook, you’ll get it delivered to your email inbox in a matter of seconds! This entry was posted on April 27, 2014 by admin.